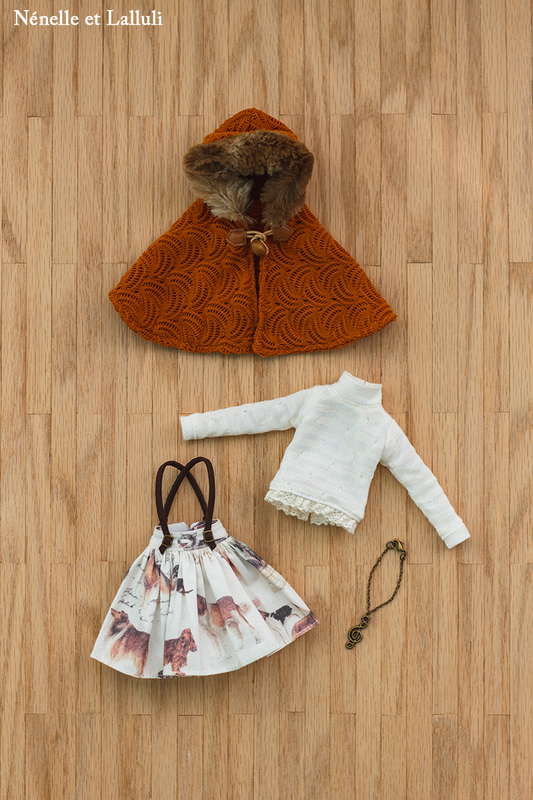 This set includes: Cape, skirt w/ suspenders, long-sleeve T-shirt, pendant. It fits Pullip, Obitsu, Blythe, Pure Neemo, Licca. 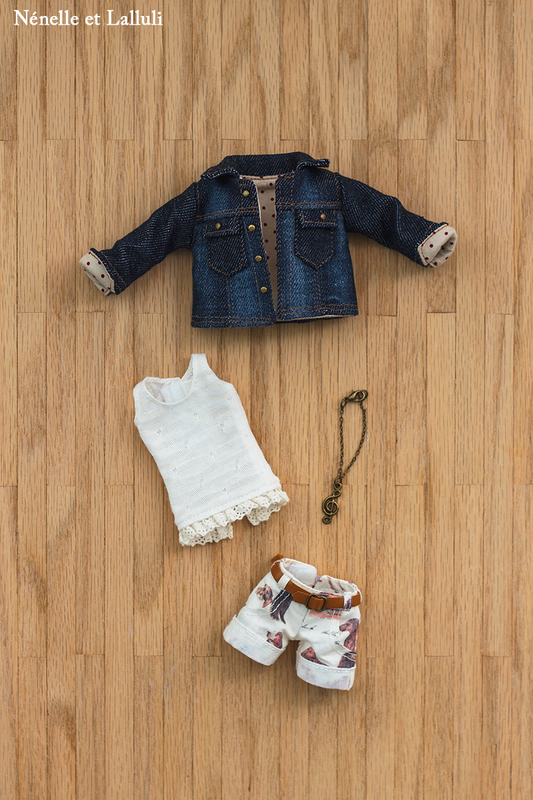 This set includes: Real denim jacket, shorts w/ belt, sleeveless shirt, pendant. It fits Pullip, Obitsu, Blythe, Pure Neemo, Licca.